A controversial pro-cannabis festival will return to the UK as part of a worldwide series of events campaigning for the legalization of marijuana. 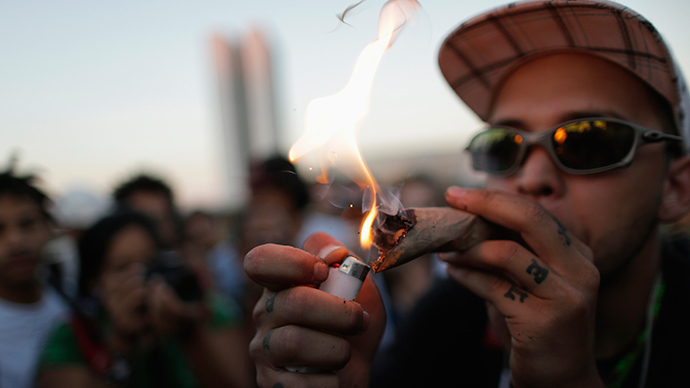 Hundreds of people are expected to attend the ‘420’ event in London’s Hyde Park this weekend. A similar event will be held at Manchester's Platt Fields Park. Now held annually, around 10,000 people attended the London festival last year, where participants openly smoked cannabis, according to the event’s organizers. The term '420' has become universally known as the code word for cannabis. A group of weed-smoking students coined the term while searching for an abandoned crop of marijuana in California in 1971. More than 60 cannabis social clubs are coming together for the event to encourage members, friends and the curious to join. The event is set to start around noon, with live music and speakers. The 420 Day event is hosted by NORML UK and the UK Cannabis Social Clubs (UKCSC). The cultivation, sale and consumption of cannabis is already legal in some states in the US and in Uruguay.